SHALOM KOL YISRAEL B'SHEM YAHSHUA HAMASHIACH. Blessing and peace to all who enter in the Name of the Holy One, Blessed be He. 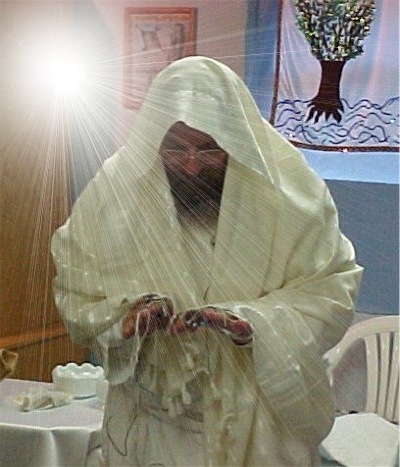 May the Elohim of Yisrael bless you on your spiritual journey. If you are looking for a spiritual home that allows for personal growth and study, then perhaps we may be the home you have been looking for all these years.Our congregation studies the Scriptures from a Hebraic perspective and at a depth that few other congregations have ever attempted.It is a place that you are welcome in a non-judgmental environment that fosters personal maturity and spirituality. If you are looking for a spiritual home that encourages individual and communal transformation and responsibility, perhaps B'nai Avraham is the place for you to experience real change and grow into spiritual maturity. We are attempting to model a spiritual community whose goal is to break down inequalities and validate each individual as unique and deserving of respect. Since the Torah is all about social relations, we not only seek Truth ,but also attempt to bring about the tikkun ( restoration) olam by actions that reflect and embodies the truth we learn. Torah is transformation and change of individuals, communities, and the world through right thoughts, words, and deeds. We stress the need for individual wholeness before communal integration.Since you are a microcosm of the macrocosm when you function separate from the whole, you become fragmented. When you are fragmented inside , there can be no wholeness on the outside. 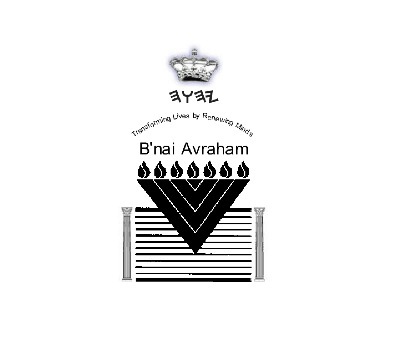 IF YOU ARE TIRED OF ORGANIZED CORPORATE RELIGION AND HAVE A DESIRE TO WALK IN THE FOOTSTEPS OF OUR MASTER YAHSHUA, THEN B'NAI AVRAHAM MAY BE THE PLACE YOU HAVE SEARCHED FOR IN YOUR SPIRITUAL JOURNEY.EXPERIENCE THE FREEDOM OF TORAH OBSERVANCE AND THE LIBERTY THAT MESSIAH BRINGS TO THE SOUL. MAKE YOUR EXODUS FROM THE "CHURCH" DOGMA'S AND DOCTRINES OF ROME AND PROTESTANT CHURCHES, AND PASSOVER INTO THE LAND OF MILK AND HONEY- YISRAEL.FIND OUT ABOUT YOUR PLACE IN THE OLIVE TREE OF YISRAEL AND ATTACHMENT TO THE CHOSEN PEOPLE OF YHWH.BE PREPARED TO QUESTION ALL YOU HAVE BEEN TAUGHT IN PREVIOUS CONGREGATIONS. B’nai Avraham is located in Ottumwa, Iowa. We meet in various homes and discuss the Torah and the teachings of our Great Master, Yahshua. Our community seeks to engage in open interactive dialogue and stay on the cutting edge of traditional teachings of the sages of ancient Yisrael and Yahshua HaMashiach. We incorporate the TaNaK, Brit Chadashah, Talmud, Midrash, Zohar, and Kabbalah in all our discussions. We encourage questions and free thinking in our studies. The asking of questions is the only way to find the answers that you are seeking. B’nai Avraham presents a nonjudgmental arena for your questions and growth. We also observe all the Feasts of YHWH as commanded by the Torah of Moshe (Moses) according to the Hebrew calendar. Our observances are more traditional, while others are experimental and avant-garde. B’nai Avraham was one of the founding congregations of the Union of Nazarene Yisraelite Congregations (UONYC) whose world- wide headquarters is now located in Ottumwa, Iowa, USA. Rabbi Nydle, as one of the original founders of the UONYC, sits of the president of the Board of Rabbis of the UONYC. Rabbi Nydle is ordained and the teacher /leader/rabbi of B’nai Avraham. The associate rabbi and cantor, Tebalyahu Heckart, is perhaps one of the most gifted cantors of the Shabbat Siddur and High holy Days Machzor. We are part of the “restoration of all things” and seek to restore and renew the lost faith of the early Nazarenes. We seek to live a life Torah observance as taught and demonstrated by our Master Teacher-Yahshua HaMashiach (the Messiah). This renewal gives us a unique blend of intellect and heart that allows for a healthy coexistence and creative interplay of the two. Spirituality (not religion) is something you have to experience. It is not an abstract nor is it a thing that you gaze at in wonder from a distance. Spirituality is an energy that flow through your entire body and soul. It is something that you live! · Matt. 22:36-40 `Teacher, which is the great command in the Torah?' And Yahshua said to him, `Thou shalt love YHWH your Elohim with all your heart, and with all your soul, and with all your understanding-- this is a first and great command; and the second is like to it, You shall love your neighbor as yourself; on these--the two commands--all the Torah and the prophets do hang. This is what we teach here at B'nai Avraham; character improvement, moral discipline and personality refinement. These qualities of the human soul we place as paramount over all other teachings of the Torah. These personal improvements are what we each need to learn and do in order to make the great tikkun Olam and to prepare the way for the second coming of Mashiach Melek Yahshua. We are not a large congregation, we do not rent or own a building, nor do we have a large amount of funds. But, we are a small dedicated group of Torah students who seek to live the teachings of our Master Rebbe Melek HaMashiach. Do you want to rise up to the Heavens? If you do then you are indeed welcome to sit among us. All our meetings are open to the public (except our Passover). Just remember that in order to do so, you must first have your feet firmly planted on the ground. One cannot go up before one is first able to get down. B'nai Avraham is here just for that purpose. We want to deepen your quest and fill it with joy. What knowledge are you hungry for? What values are you seeking? Please read our Vision of Change article to understand what B’nai Avraham believes and practices. If you choose to visit contact us by email for location and times for the meeting.We usually meet every other Shabbat if the weather permits (due to traveling conditions).Dress is casual so do not worry about wearing a tie or dress clothes.All we ask is that the men wear a head-covering of some kind (kippah ,hat,or ball cap) and the married women wear some type of head-covering.On the Holy Days we have a Torah service so you may bring your tallit (both men and women) and dress is more semi-casual. If you are not familiar with our congregation and your first contact with us is online: We would be pleased to hear from you! Please let us know what your needs and questions are, we will be more than happy to help. "EVANGELISM" ORGANIZATION OR DENOMINATION.WE ARE AN INDEPENDENT NAZARENE YISRAELITE CONGREGATION.